September 11, 2018 Events, What's New? Once again, the APPA will celebrate National Support Staff Day! 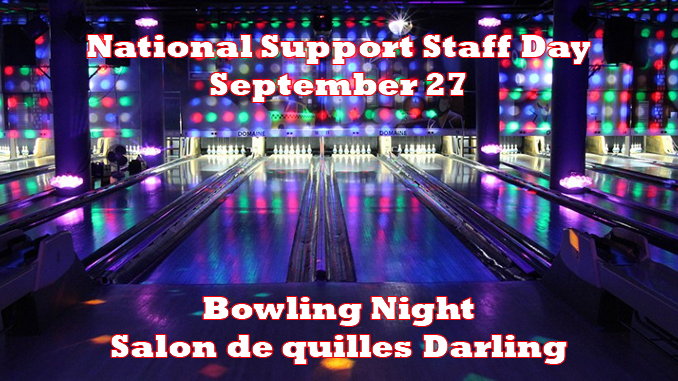 This year, we are holding a bowling night at salon de quilles Darling in Montreal on September 27 from 5:30 p.m.
Form a team of 8 players and come have fun with other members of the APPA! Fun, food and door prizes! 5:30 p.m. to 7:30 p.m. 7:30 p.m. to 9:30 p.m.